Virat Kohli has suggested that Royal Challengers Bangalore may need to freshen up their side to get their Indian Premier League campaign on track. 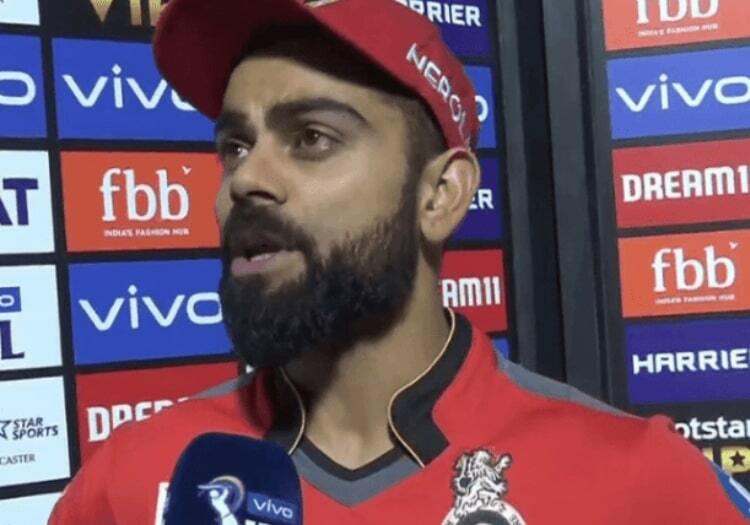 RCB, perennial underachievers in the IPL, have lost all four of their matches in the tournament this season - against Rajasthan Royals, Sunrisers Hyderabad, Mumbai Indians and Chennai Super Kings - and are starting down the barrel of another meagre finish. Kohli knows there is not much time in which the franchise can turn things around and therefore he is ready to make several changes ahead of his team's next game, against Kolkata Knight Riders in Bengaluru on Friday. “This tournament is not that long,” he said. “It’s not going to go on for months. This is a month-and-a-half or a couple of months maximum. You have to be on the eight ball. You have to think on your feet. You have to think of the best possible combination going forward. We will definitely sit down and consider talking about what we can do. What can we do to get the balance right. RCB are rock bottom after their torrid start to the campaign but Kohli has not given up hope of the play-offs. “We have 10 games to go. If we start turning things around pretty soon, then we can get on a roll as well. We have to keep believing as a side. Just four games in, we would have liked one result our way if not two,” he said.